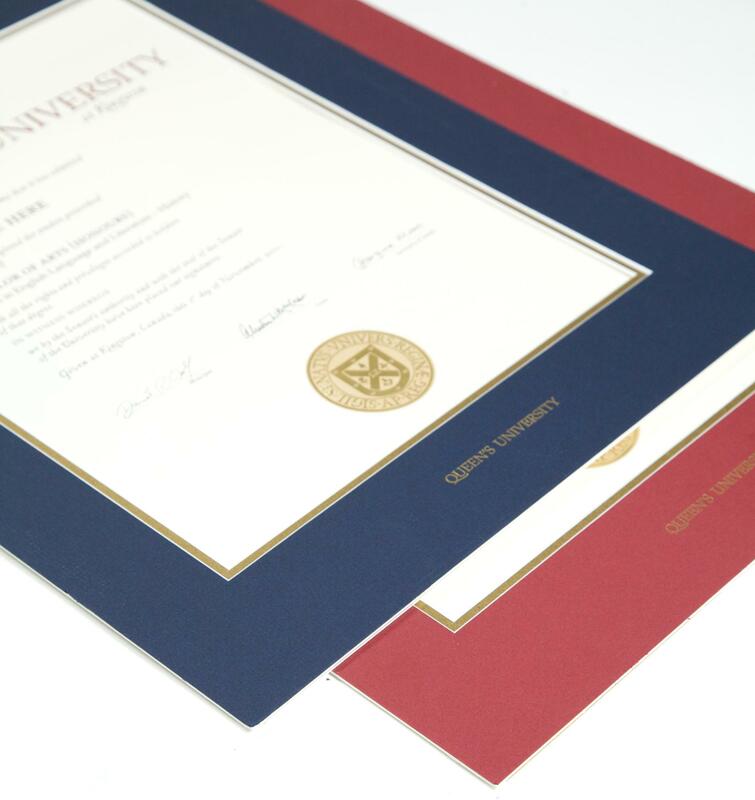 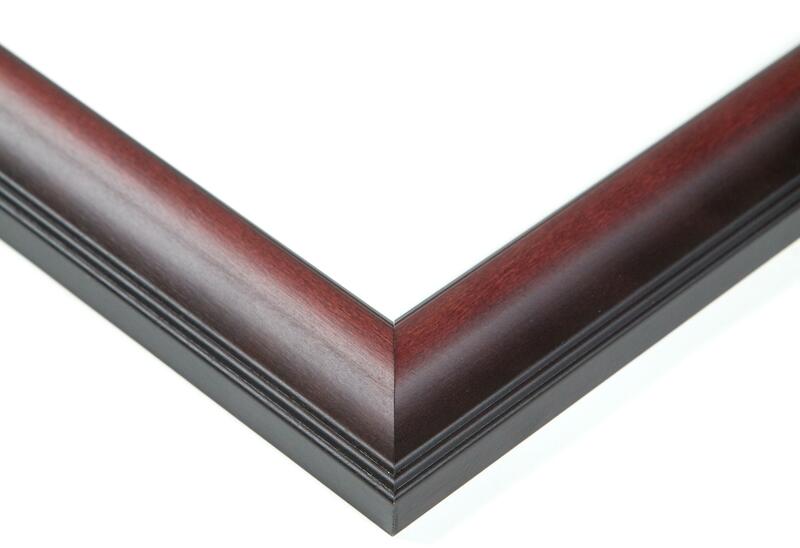 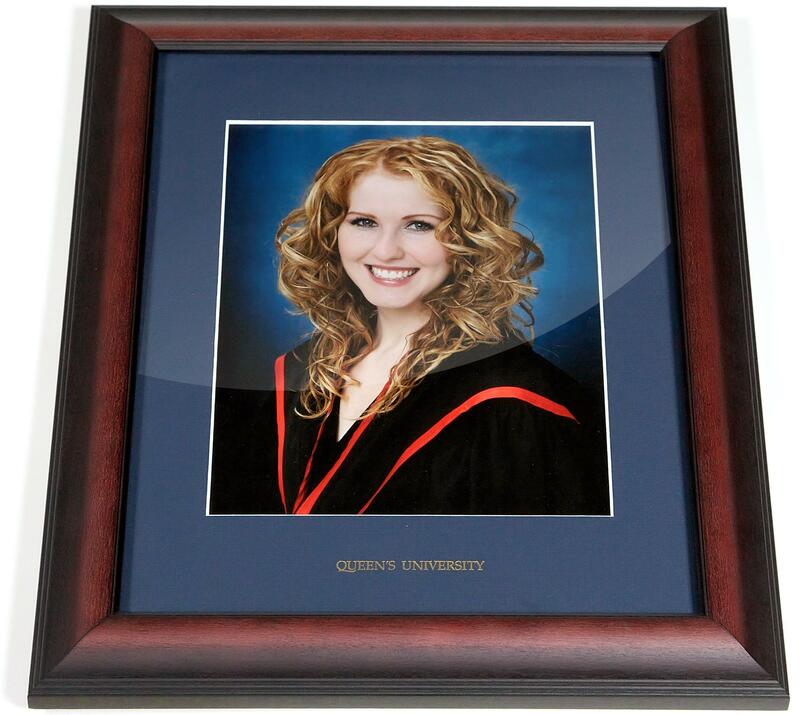 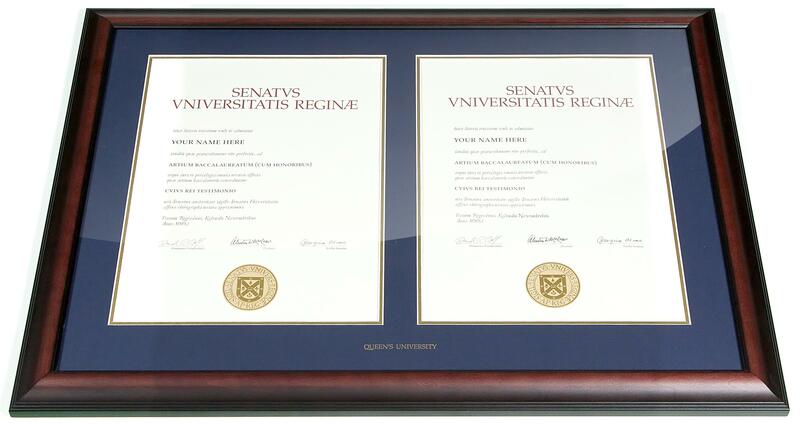 Contemporary satin mahogany finished solid hardwood frame specially designed to hold 2 Queen's diplomas, red or blue acid-free mat with "Queen's University" embossed in gold across the bottom. 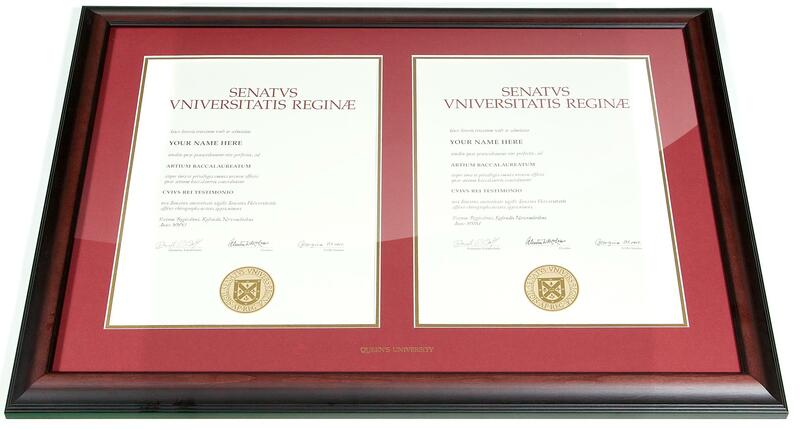 Package A: One double diploma frame and one matching large Briarwood photo frame (for 8" x 10" photo). 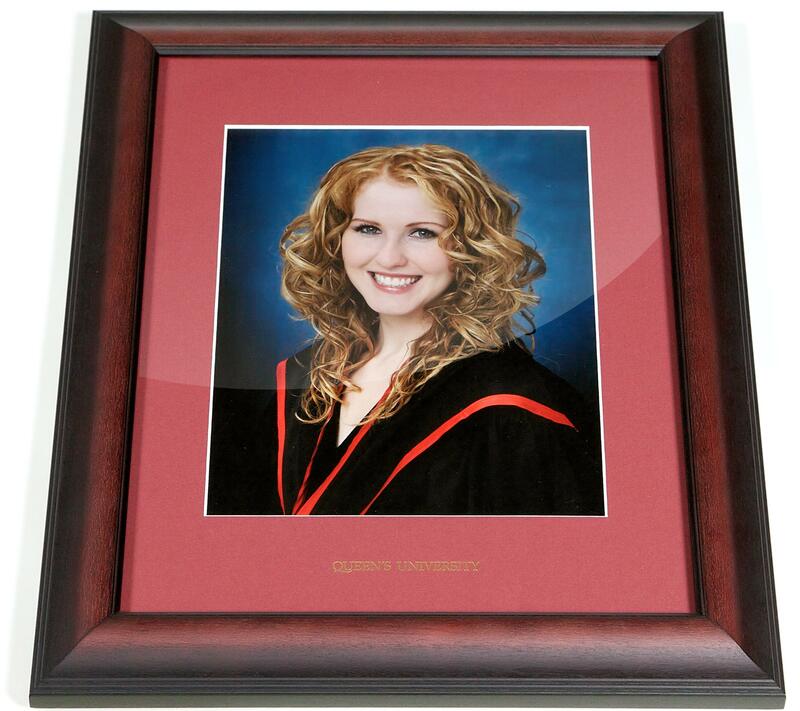 Package B: One double diploma frame and one matching small Briarwood photo frame (for 5" x 7" photo).